Coffee and baked goods are meant for each other, and these recipes combine our two loves in the best way possible. Crinkly, rich, espresso flavored cookies with the perfect snap? Yes, please. 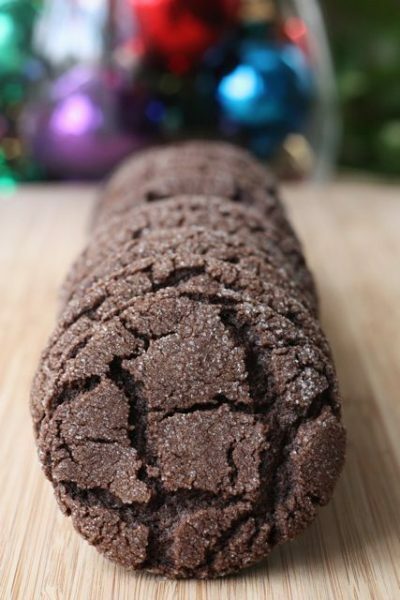 We love these Chocolate Espresso Snaps by A Beautiful Bite. How do you make sugar cookies even better? Add coffee, of course. 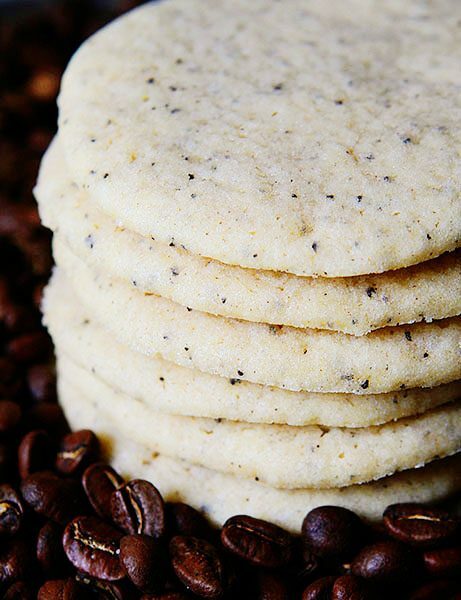 Check out these Coffee Sugar Cookies by I Am Baker. 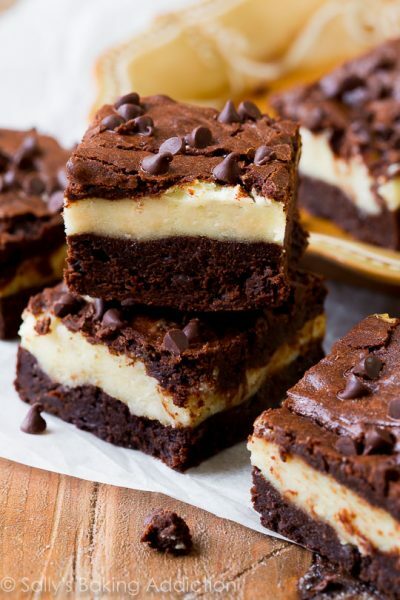 It doesn’t get any more indulgent than these chocolatey Mocha Cheesecake Brownies by Sally’s Baking Addiction. 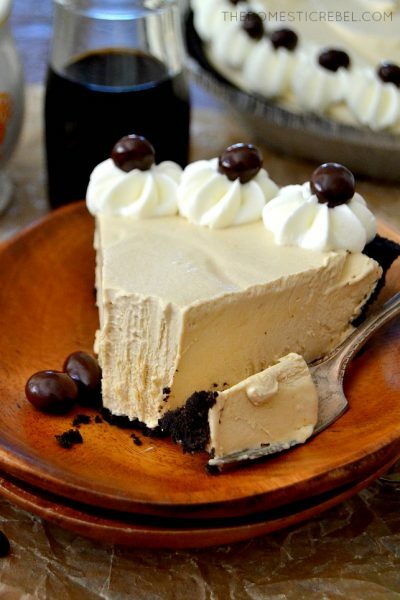 A rich, creamy no-bake pie made with cold brew coffee and an Oreo crust is a dream come true: Easy Cold Brew Coffee Pie by The Domestic Rebel. 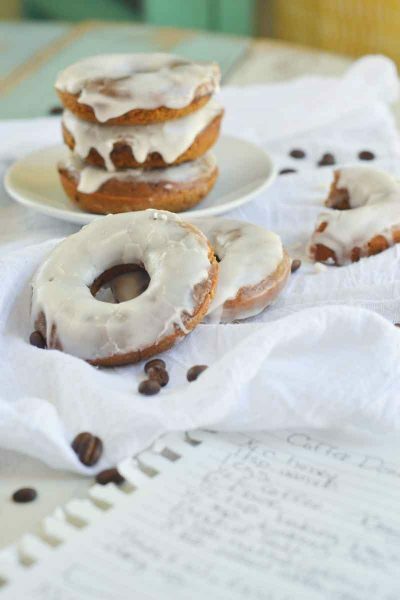 They had us at donuts, but then Nellie Bellie went and added a WHISKEY frosting to their Baked Coffee Donuts. Come on! 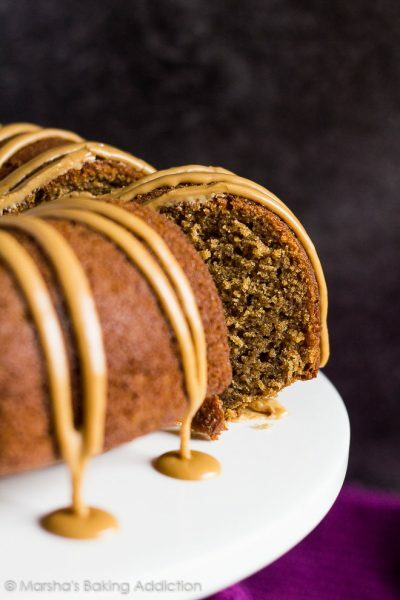 We always love a luscious bundt cake, and this Coffee Bundt Cake by Marsha’s Baking Addiction with, of course, a coffee glaze, is right up our alley. 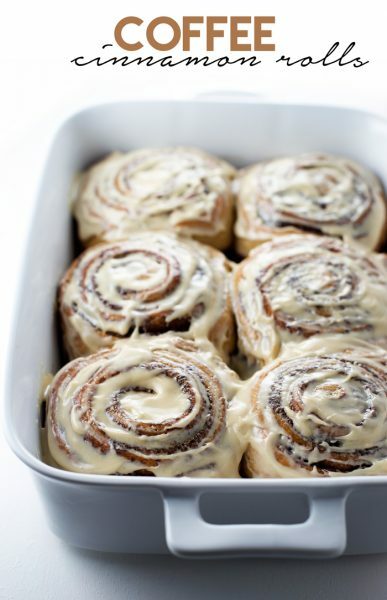 These Coffee Cinnamon Rolls with cream cheese icing by Perfectly Sprinkled had our mouths watering. 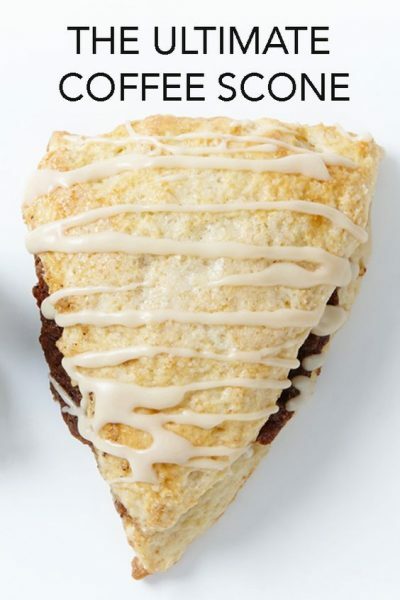 Scones are the perfect accompaniment to a good cup of coffee, but The Ultimate Coffee Scone by Bite Me More takes it to another level with this coffee brown sugar filling. 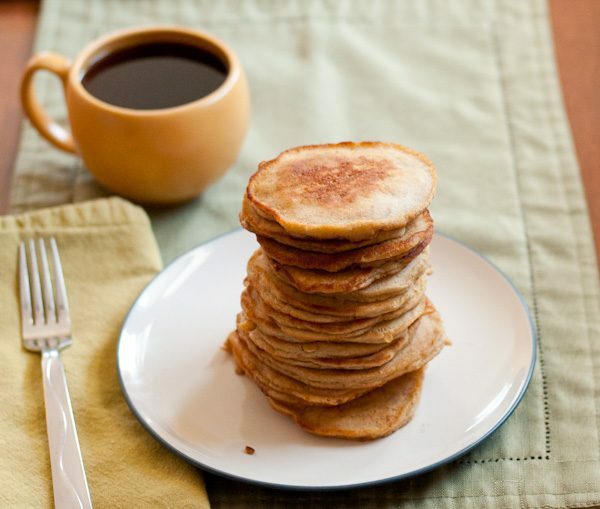 Technically, these Coffee Pancakes by Blogging With Apples don’t really belong on a baked goods list, but they were too good for us to exclude. Because pancakes. With coffee in them.